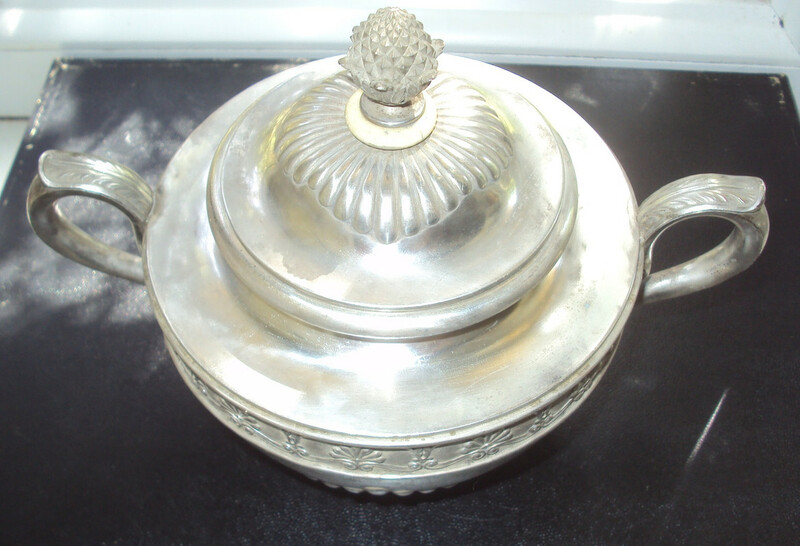 Maybe someone can help with this sugar bowl? 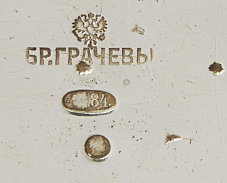 This real Faberge or not? looks authentic! 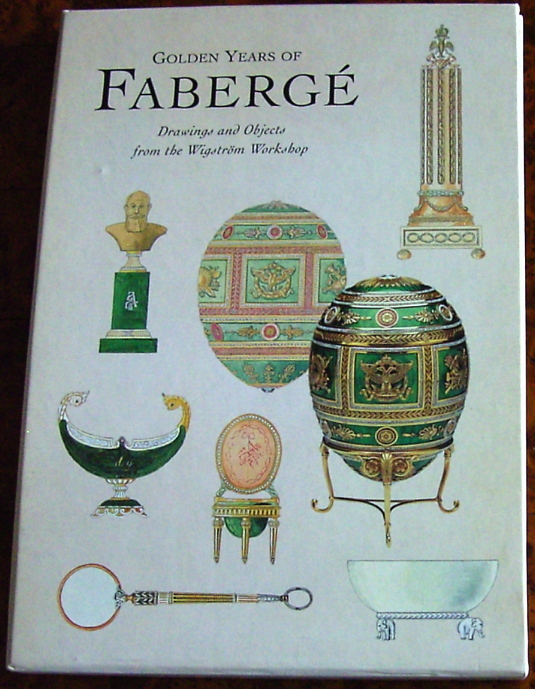 See a page of similar designs from Fabergé´s catalogue. The sugar bowl is authentic. 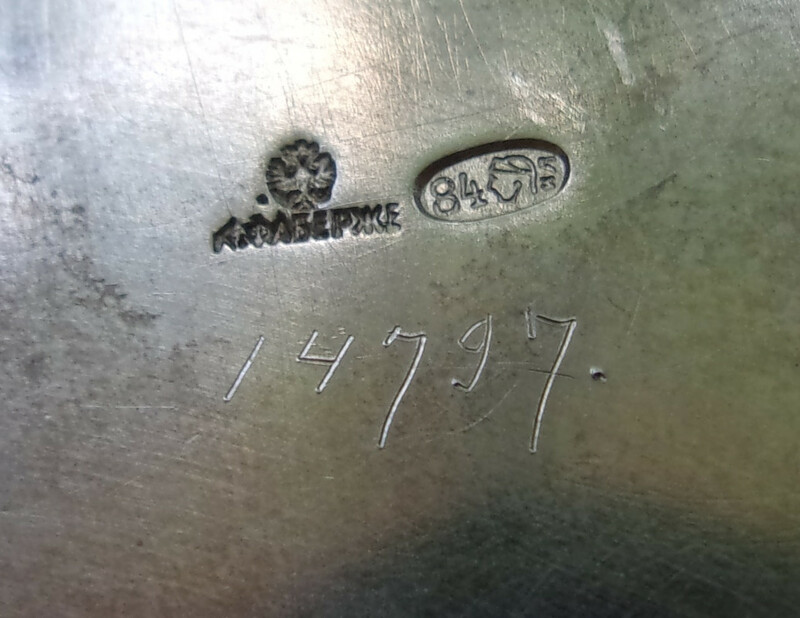 The scratched number 14797 leads to a model that Fabergé started to produce in Moscow as from 1897. 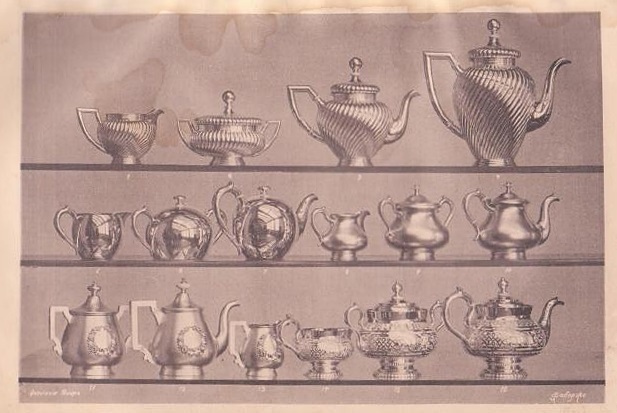 The model is not mentioned in the catalog because it is from 1893. 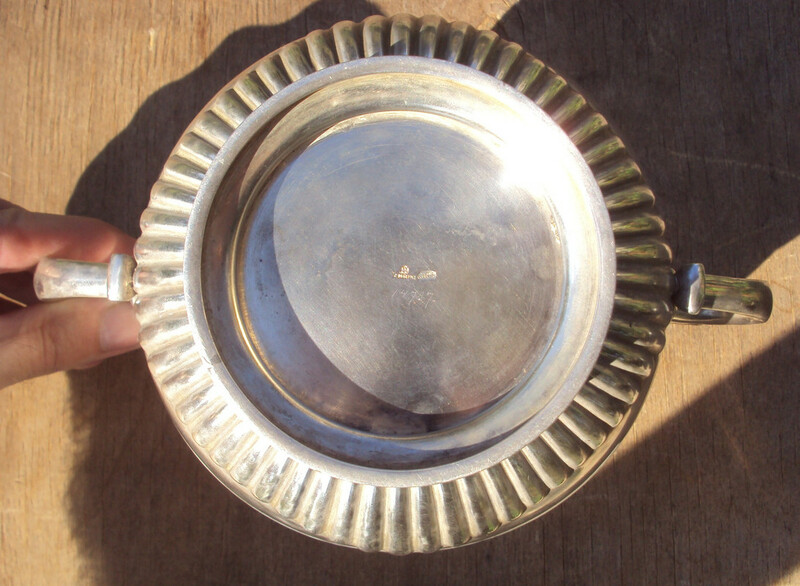 Nonetheless, the bowl looks "bad" because it is neither cleaned nor polished. Do that and you have a totally different object in front of you. 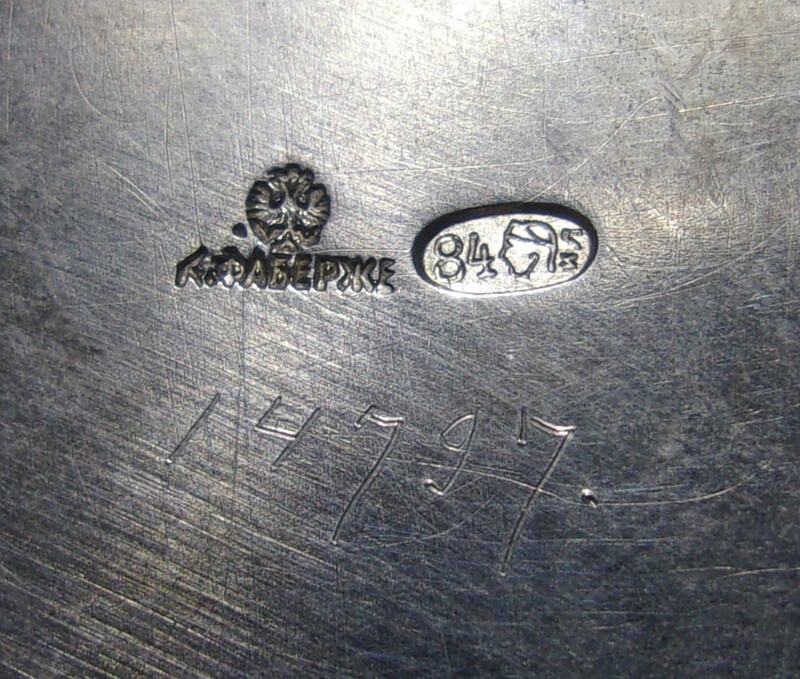 The quality is, however, a typical result of "mass production". Kindly keep in mind that all judgements made on these sites are made based on photos only. To be absolutely sure one needs to see the discussed object in "in the flesh". But as already mentioned; a nice find! 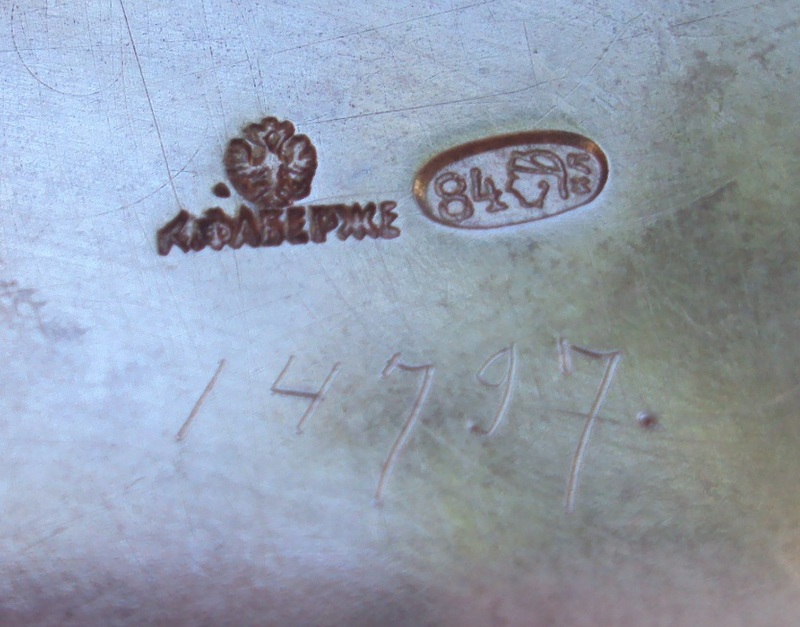 the inventory numbers (vulgo "scratchmarks") allowed the company of Fabergé to control what was sold in which store and when. There are extensive, original, preserved lists from the Wigström Estate. 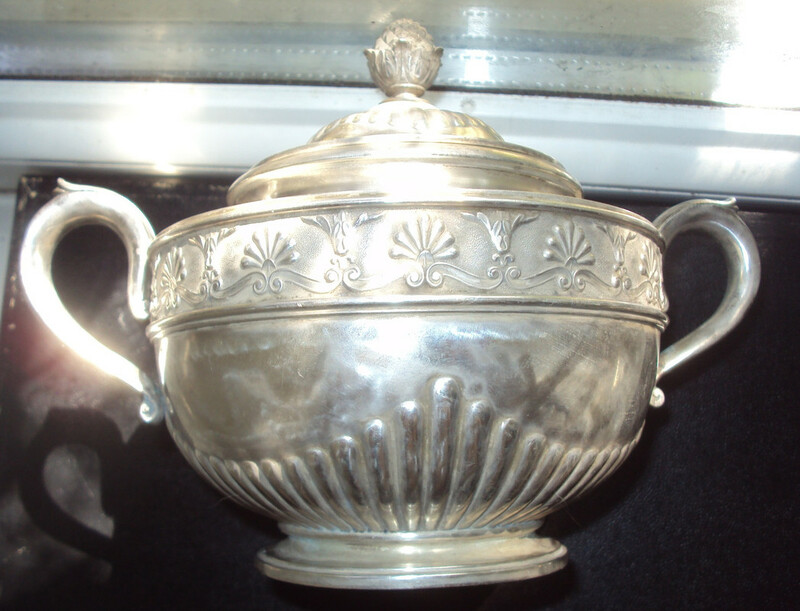 The sugar bowl shown was sold in 1908 in the Moscow shop. Also, do you see how there is an "insulator" beneath the finial? 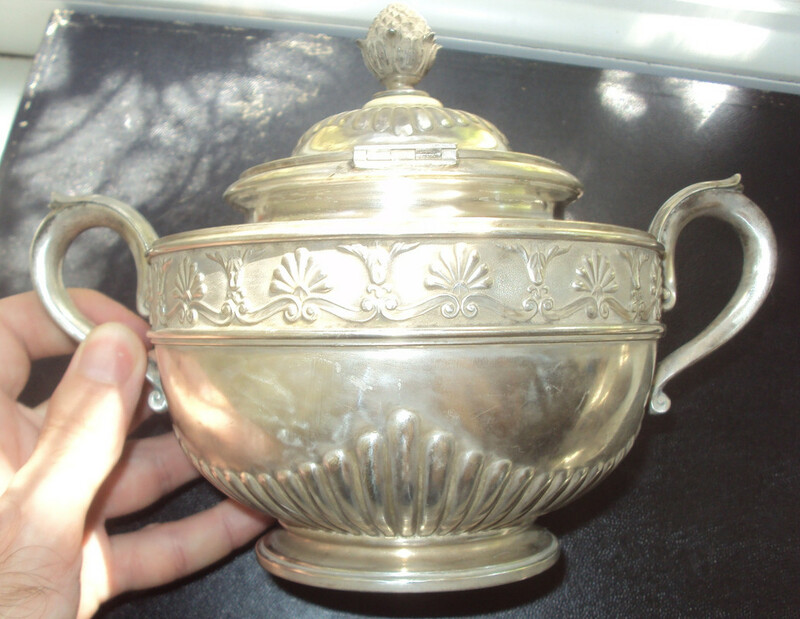 I thought insulators were to protect the hand from heat, most commonly seen on the handles of tea-pots. 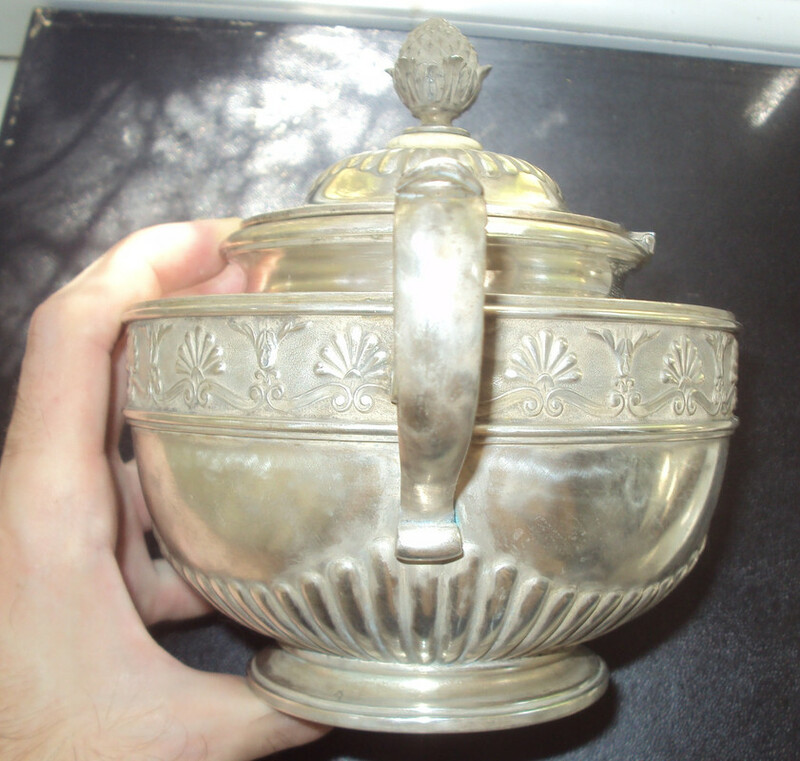 Therefore, would this be a "waste bowl" used to store used tea and possibly used hot liquid during the preparation of tea? 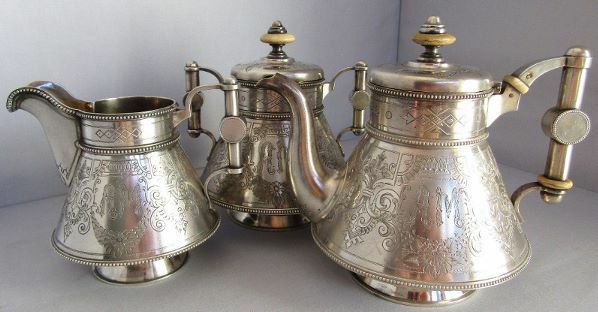 I suppose there is the possibility that the insulator is simply decorative and would have matched the insulator rings in the matching tea-pot, so maybe that is the reason? 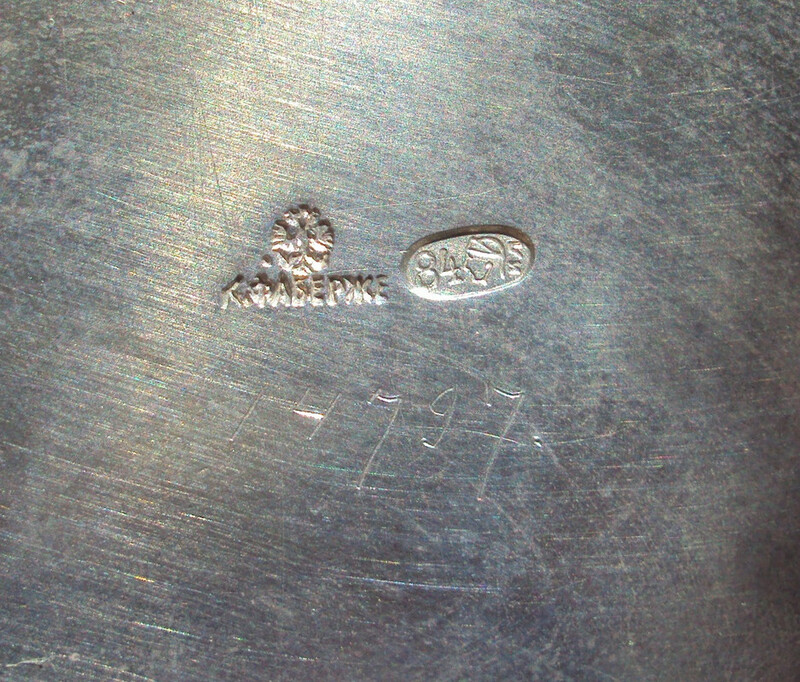 Many other teapots I have seen (and owned) had a separate finial which was attached to the lid using a screw-type of device ::: I always found this method of attachment to be not very elegant, but in this case it seems as if we have a "one-piece" lid where I can see no way the finial was attached to the lid, therefore was it cast in one single piece? How was the insulator attached? 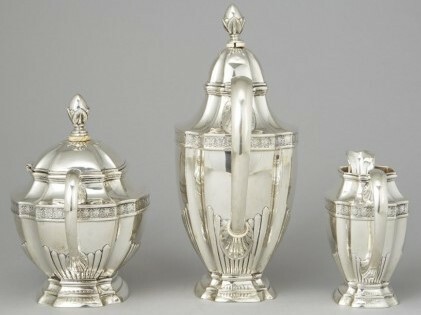 This brings me to a final point about silver artists who are so talented they are often described as genius. 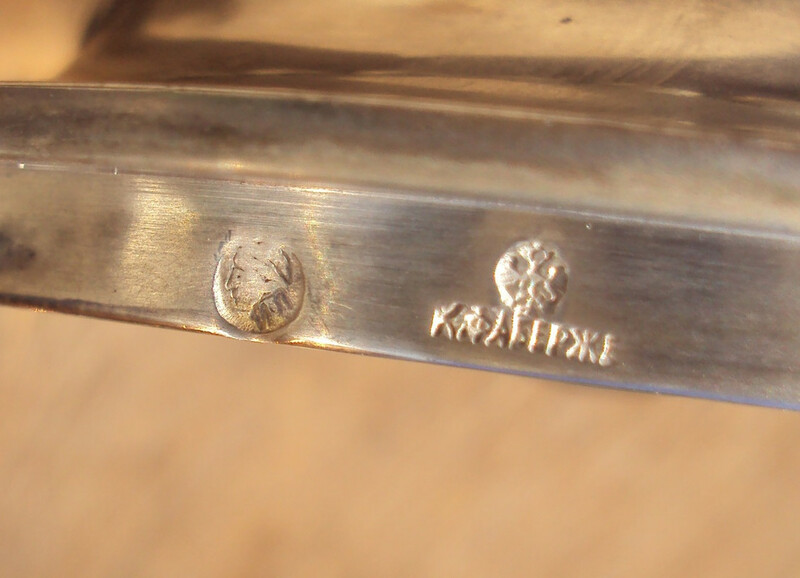 They often make an object which appears simple at first, but once you begin to analyze the object you soon discover the fine details which are absolutely superior and sometimes I can't even figure out how they achieved the fine details at all. 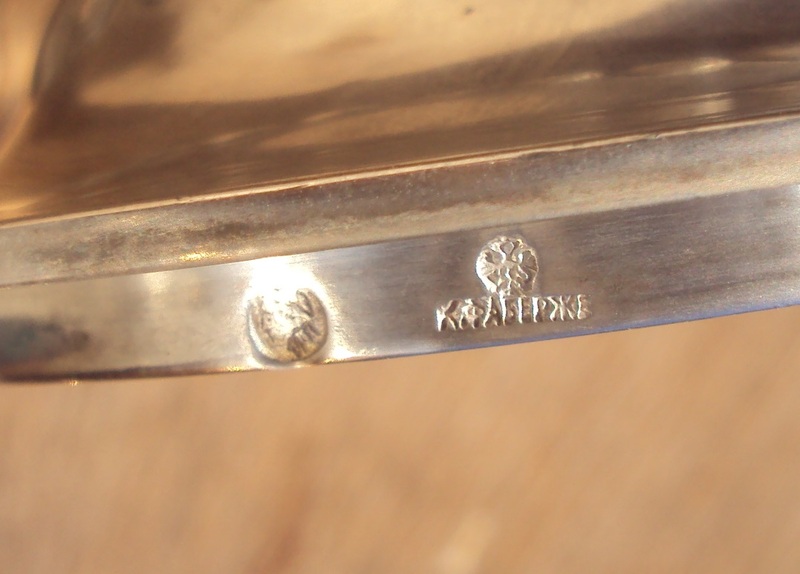 It's like the genius silver makers know how to hide their genius underneath a layer of simple, understated elegance, and they call upon the mind of the viewer to discover the hidden complexity. 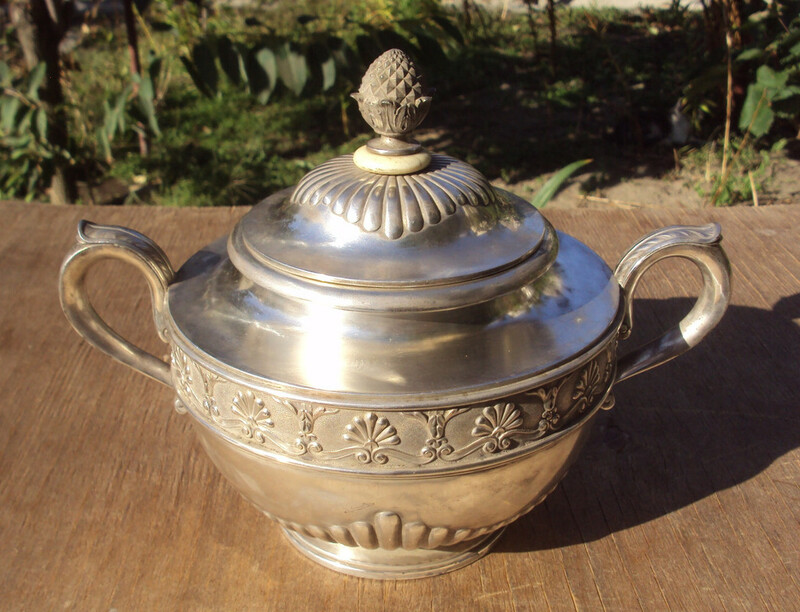 This teapot reminds me of this, at first it seems so simple, but once you look at the finial construction, you notice the fine details and the elegance of form. Good and interesting comments by Aguest, I share your opinion on the quality aspects of the sugar bowl, especially regarding the pineapple final and also the fringe I think is very well done. 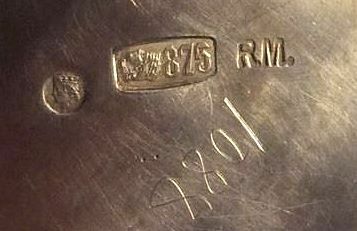 This is how you can see the differences by the high quality makers from the more general silver smiths regarding the objects. 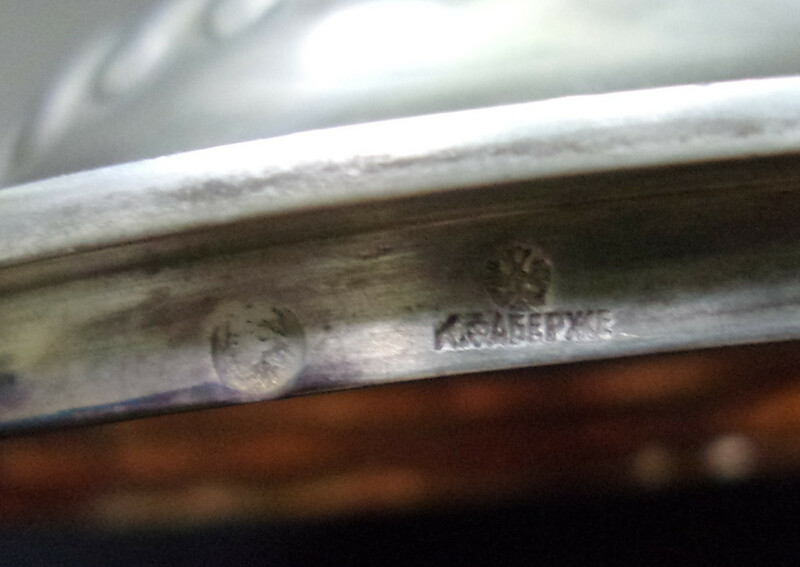 I believe the item is anyway a sugar bowl as from my experience the waste bowl is more a type in English sets which was not (at least) typically included in tea or coffee sets in Russia. 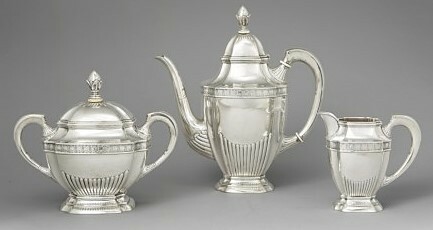 Typically the Russian sets included a tea (either one pot or two pots with tea and hot water), sugar bowl and creamer, possibly also a bread basket. 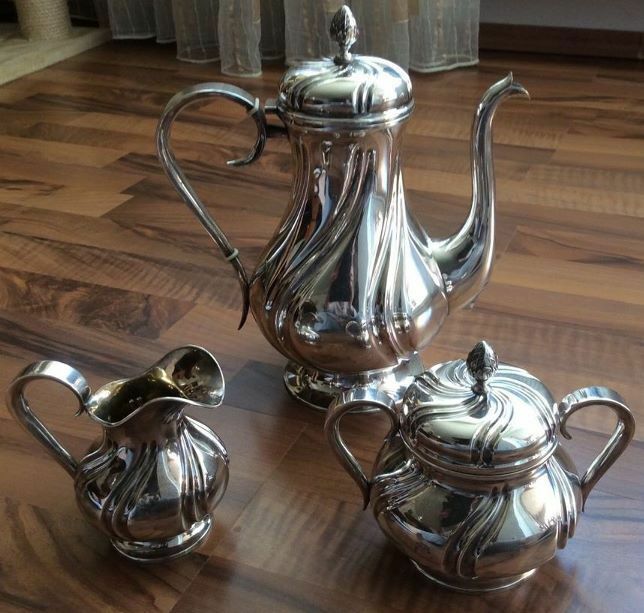 There probably is also a culture difference regarding the custom of the tea or coffee drinking which then differs in the sets in Russia and England. 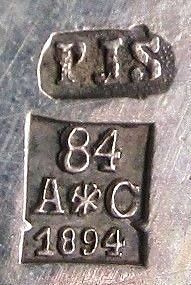 Regarding the final I believe it is attached with a silver screw which is hidden underneath the pineapple final and by so the insulator has also been attached. The insulator is just for the aesthetic view to be seen included in the full tea set by all details. 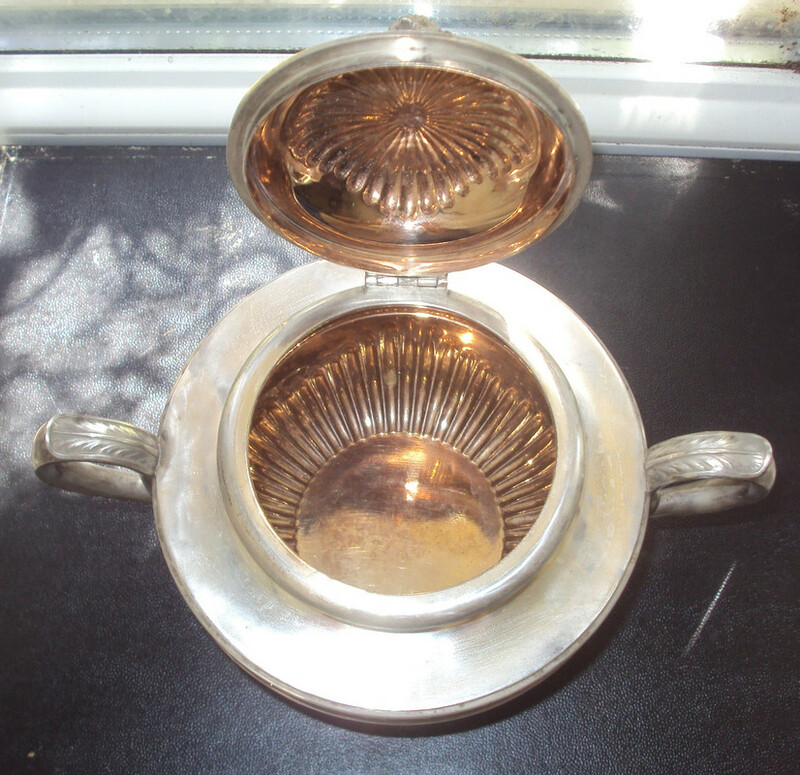 If you look closely to the catalog page provided by Goldstein there seem to be this same usage in some Fabergés other tea sets so thereby I think it has been an excellent idea to include the insulator to the sugar bowls also. 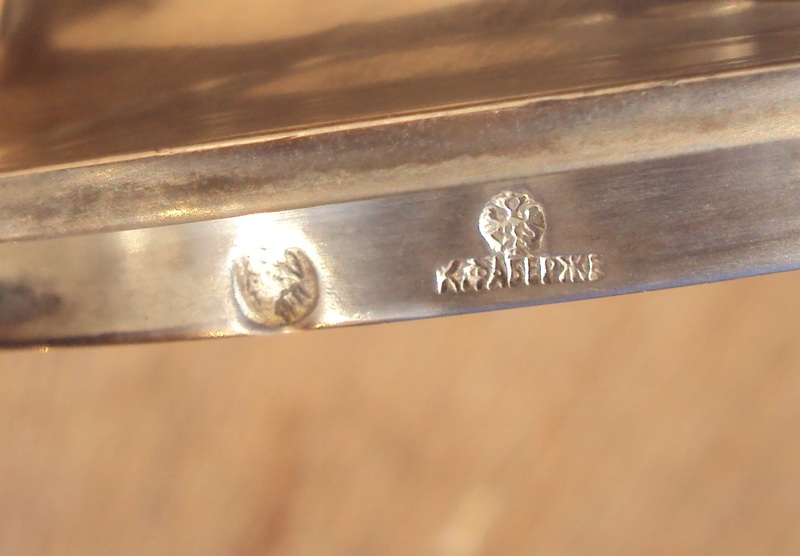 The screw can be soldered to the lid (in this case) or soldered to the finial, the latter method requiring a bolt to fix it from underside (often marked, too). 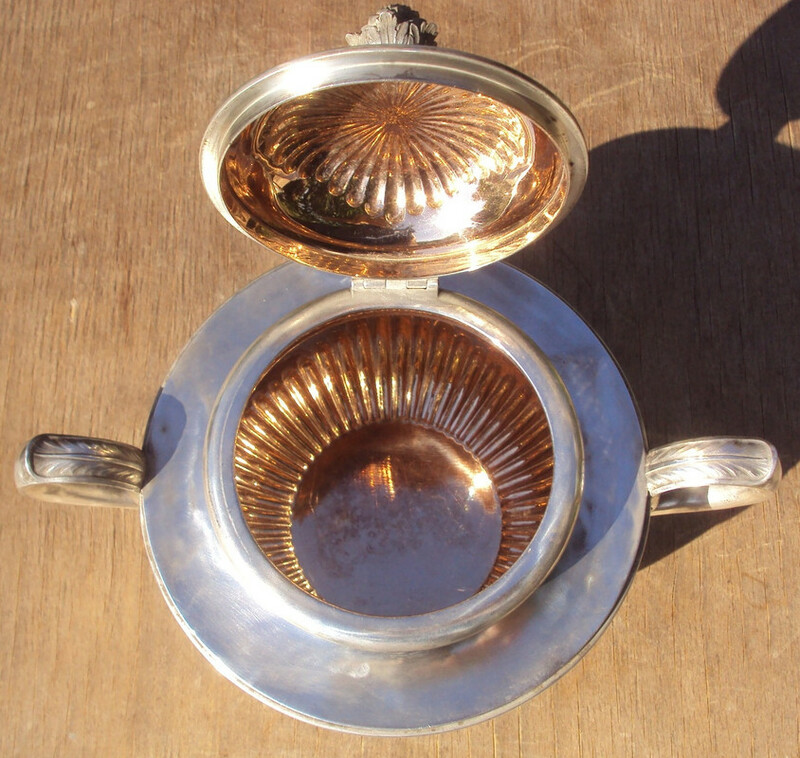 The insulator is needed on tea and coffee pots, but for esthetic reasons always repeated on the rest of the sets.